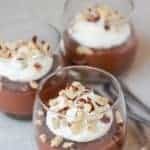 A simple, smooth and creamy Nutella pudding. When I need an immediate chocolate fix, I typically grab a few chocolate chips or a spoonful of Nutella. I almost always have both in my pantry. And although Nutella straight from the jar is delicious as is, ever since I made this tart, I have been eager to recreate the filling into Nutella pudding. 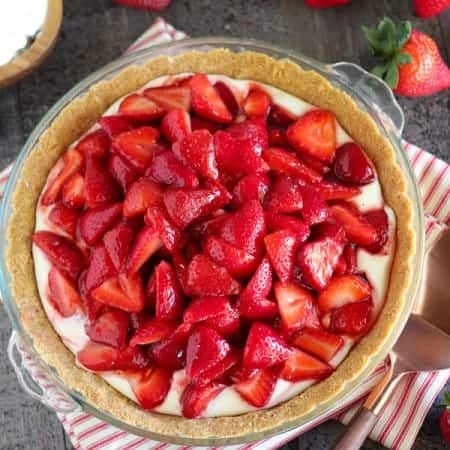 I am so excited to share this recipe with you today – it’s so good that you will be scraping the bowl for every last bite. 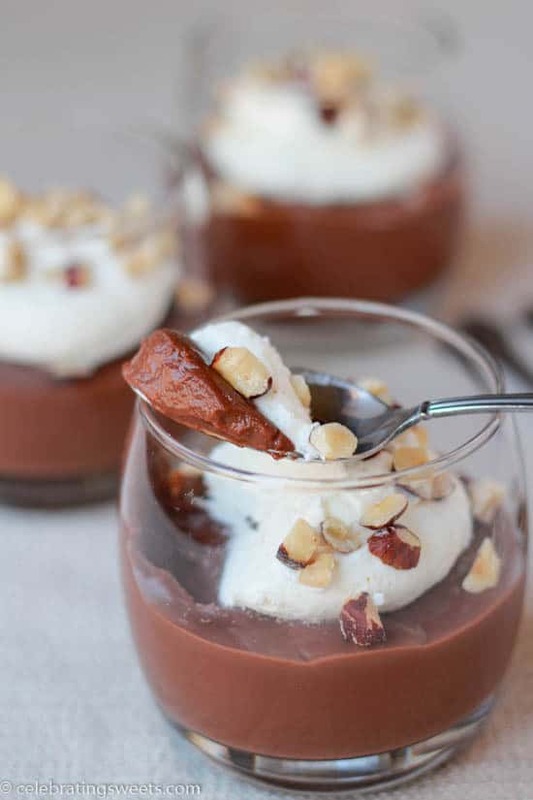 It’s rich and creamy and loaded with the flavors of chocolate and hazelnut. You’ll be stealing spoonfuls from the fridge. Trust me, it won’t last long. In addition to being delicious, this recipe is super simple. It’s made with only a handful of ingredients and it comes together in about 10 minutes. The hardest part of the recipe is waiting for the pudding to cool. Although, you could sneak a bite while it is still warm (I won’t tell). This is my new favorite way to get my chocolate fix. In a medium bowl, whisk cornstarch, cocoa, and a half cup of milk. In a medium saucepan over medium heat, combine remaining milk (1 1/2 cups), Nutella, and salt, whisking until the Nutella has melted. Add in the cornstarch mixture, whisking while you pour. Bring the mixture to a boil, whisking frequently. Once the mixture comes to a boil, boil for 2 full minutes. The mixture will thicken. While boiling, alternate between whisking and scraping the bottoms and sides with a rubber spatula. Remove the pudding from the heat and transfer to a large bowl or individual serving bowls. If you're concerned about lumps, you can pour it through a fine mesh sieve before transferring it to the bowls. Refrigerate for several hours until thickened and chilled completely. Top with whipped cream and chopped hazelnuts right before serving. Can I say you had me at Nutella? What a great recipe and love that you added hazelnuts, one of my favorite nuts. 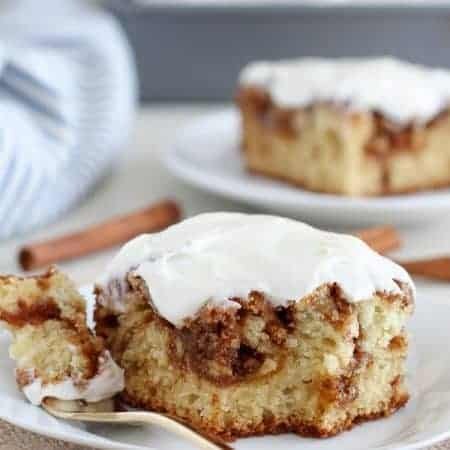 Looks so delicious and easy! 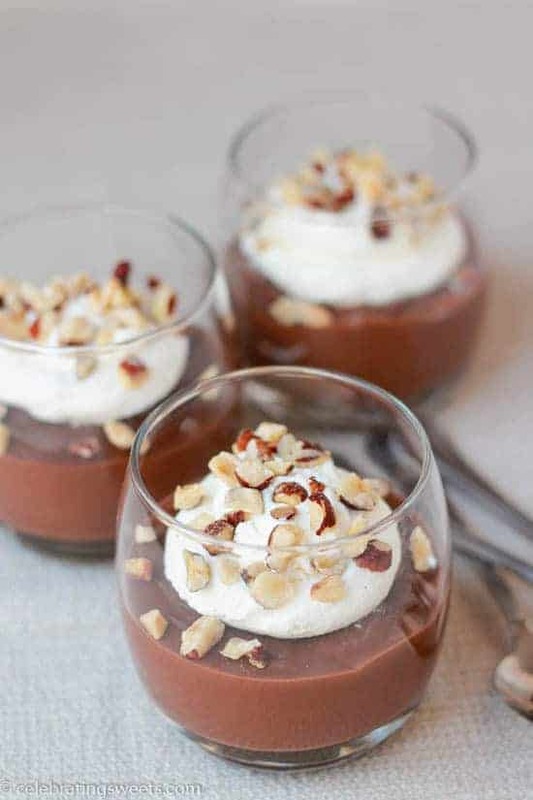 I love the fact it’s gluten free, what makes this pudding a great idea for Passover dessert. This would b perfect for the kids. So quick and easy to make you could do it at lunch to serve for dinner. You got me at Nutella and pudding! Love both for a comforting dessert. 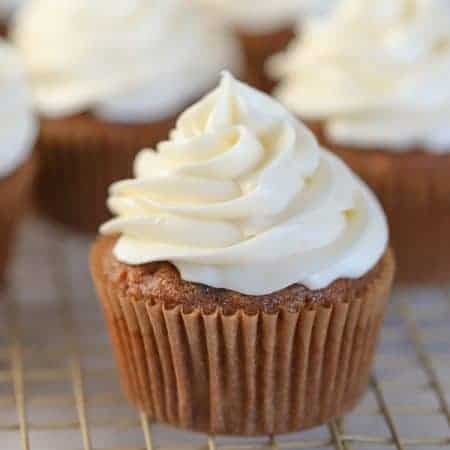 Your pictures are totally mouthwatering! I wish I coudl taste this now. Sounds like the perfect dessert, my boyfriend would love this! !